Queen of Swords Press, 9780998108230, 222pp. 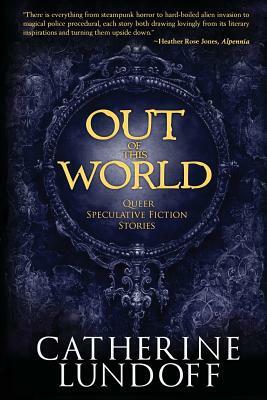 Eleven tales of the queer fantastic by award-winning author Catherine Lundoff. Journey to distant planets, encounter angry ghosts, go on a quest for the Norns and meet Shakespeare's sister, Judith on your way to finding joy. Vampires, swordswomen, witches, the Queen of the Fay and even the occasional gentleman of the evening populate stories rich and strange. Includes the Gaylactic Spectrum Award finalist "At the Roots of the World Tree" as well as several stories not previously collected.